All vehicles coming to WrapJax to be wrapped, must be washed thoroughly before delivery to our installation facility. Vehicles that are not delivered washed and ready for our installation team to begin the install will be charged a $45 Prep Fee. A vehicle wrap is a large vinyl graphic decal that is applied over the paint of a vehicle. That could be anything ranging from a car, truck, van, box truck, semi, trailer or even a boat! At WrapJax™, we proudly use 3M wrap films for our wraps to ensure the best product for our clients. WHAT'S INVOLVED IN A VEHICLE WRAP? Vehicle wraps, including bus wraps and fleet wraps, are comprised of three phases. The first is the design phase which includes getting accurate measurements for the vehicle and actual design of the graphics to be applied. The second is the production phase where the graphic is printed and then laminated to protect the vinyl from abrasion and UV rays that can cause graphics to fade over time. The third is installation where the vinyl is actually applied to the vehicle. In some cases there may be a fourth phase, the removal of the graphics if requested. WHAT'S THE DIFFERENCE BETWEEN A PARTIAL AND FULL WRAP? Anything less than a full wrap is normally called a “partial wrap.” A half wrap normally includes the entire rear of the vehicle and halfway up the sides of the vehicle and often includes a hood logo. A three-quarter wrap normally includes the entire rear of the vehicle and most of the entire sides of the vehicle and often includes a hood logo. Typically, a full wrap includes the entire surface of the vehicle, which may or may not include the roof. Normally, you can expect a wrap to last between 4-7 years. The life of your wrap depends on many factors, which include (but not limited to) weather, how it is maintained and how a vehicle is stored. Window perforated wrap material will typically last 2-3 years and can easily be re-installed to match your vehicle wrap. WILL A VEHICLE WRAP DAMAGE MY PAINT? In most cases, vehicle wraps will not damage factory paint jobs. Paint or clear coats in poor condition may peel when vinyl is removed. WrapJax™ is not liable for damage to paint upon installation or removal. HOW LONG WILL IT TAKE TO WRAP MY VEHICLE? Time to do wraps vary widely from project to project. However, in general, vehicle wraps can be done in significantly less time than painting. Paint jobs normally require curing and drying time and much more. It is best to assume that WrapJax™ will need your vehicle for as long as 3 working days. Upon installation, your vehicle is ready for immediate use! No waiting is necessary! WHAT IF MY VINYL VEHICLE WRAP GRAPHICS ARE DAMAGED? Yes. You can normally have the damaged pieces or panels of your vehicle wrap replaced after your vehicle is repaired. You normally do not need to redo the entire wrap if the damage is limited to certain areas of the vehicle. It is important to note that matching the color can be a factor in printing a repair panel for your wrap. This is not due to fading but rather it is due to printer heads being replaced which can slightly alter color settings. It may be necessary to print a test sample prior to a production panel. Test samples are charged at a rate of $25 each until a match can be made. CAN YOU WRAP A LEASED VEHICLE? You must always obtain permission to wrap a leased or rented vehicle. However, in general, most leased or rented vehicles have factory paint jobs with excellent paint quality. Vinyl applied over factory paint is best because the vinyl can be removed easier without damage or “paint peel.” Leased vehicles are often wrapped throughout the country without incident or damage. Hand washing is best. Try to avoid high pressure washes and be careful never to use an ice scraper on window graphics. There are specially designed products to clean and polish vinyl graphics. We will be happy to tell you about them. There are several things to consider: design time, materials (including vinyl and lamination), print and installation. The size of the vehicle to be wrapped and the type of vehicle also play a part in cost. In general, vehicles with compound curves like a VW Bug or PT Cruiser, are more difficult and more expensive to wrap than a vehicle with less contour. Partial wraps are a great way to minimize cost as opposed to a full wrap if the color of the vehicle can be utilized into the design and color scheme of your branding. Cast (High performance) vinyl is more expensive then Calendared (Intermediate) vinyl but last longer, so be sure to ask for details. HOW CAN I JUSTIFY THE COST? If you are using a vehicle wrap as signage or for marketing purposes, there is no more cost-effective advertising method available. It has been proven that the cost per impression (CPI) of vehicle wraps is dramatically less than other forms of advertising such as billboards, television, radio and yellow pages. If you are using your vehicle wrap to improve the appearance of you vehicle, digitally printed vehicle wraps simply cannot be duplicated by more traditional methods like paint or airbrushing. IS THE WRAP EASILY REMOVABLE? Yes, in most cases. The vinyl used for vehicle wraps is designed to be removed with no residue. If the vehicle’s paint is old or peeling, it might peel up with the vinyl when it is removed. Most factory paint and clearcoat provide a durable surface for application and will typically be flawless when a wrap is removed. WrapJax™ is not liable for damage to paint or clearcoat during installation or removal. CAN I SEE THROUGH VINYL ON THE WINDOWS? Yes! You can see through window graphics that are printed on window film. Window perf vinyl is perforated with small holes that allow you visibility from inside the vehicle but allow your printed message to be visible from the exterior of the vehicle. WHAT IS THE BEST BASE COLOR FOR A WRAPPED VEHICLE? In most cases a black, white or silver vehicle is preferred because it helps hide any areas that don’t match the vinyl graphics. Although, it is important to note that any base color on a vehicle can be wrapped, but black, white or silver seem to work the best. Please review your scheduling needs with a WrapJax™ Scheduler. Once we receive your $250 Design Deposit, you should receive an initial layout with 3 – 5 working days. Your WrapJax™ designer will work with you to ensure your project meets your design & color requirements. Modifications and adjustments can take anywhere from same day fulfillment or up to 2 business days. It is important to give your designer as much information at the time of request as possible so that he/she can efficiently process your design changes. Depending on our production schedule, it might take up to 7 days for production of the final product. Once your project is in our production Queue, we will have a scheduler contact you for installation scheduling. WHAT HAPPENS TO MY VEHICLE WRAP ARTWORK & MATERIAL? Unlike many wrap companies, WrapJax keeps our approved client artwork archived for future needs. Clients do not own the artwork or layouts that WrapJax designer’s have created for the express purpose of producing their vehicle wrap with WrapJax. All artwork is the creative property of WrapJax and will be available for our clients if another vehicle wrap is needed or if their vehicle wrap has somehow become damaged due to an accident or vandalism. Art files can be made available at an additional fee based upon the complexity of your project. Most files can be purchased from WrapJax at costs ranging from $499-$849. WHAT TYPE OF DIGITAL FILES DO YOU PREFER? Our file preferences call for PhotoShop (.psd files) and/or Adobe Illustrator (.ai files) submitted via Dropbox or uploaded to an FTP account. If you are working within specific color metrics, please provide your WrapJax™ designer any PMS (Pantone) color codes that are required for your project. WrapJax™ has a Pantone book at each location if you wish to check a color. Pantone books may not be taken from the premises. WrapJax™ tries to make it easy for our clients to work with us. We accept cash, most major credit cards and Net 30 for large accounts. Cash is accepted in US Funds only. WrapJax pays cash customers sales tax. Credit Cards are accepted – WrapJax™ will gladly accept credit cards for projects up to $500. Cards must be swiped and signed for or a processing fee of 3% will be automatically applied to your invoice. WrapJax™ proudly accepts payments via the Square Wallet App on most smart phone/tablet devices such as Apple, Android, Blackberry and Windows. Net 30- WrapJax™ will gladly allow Net 30 terms for high volume accounts. A 50% Deposit will be required for new clients wishing to establish Net 30 terms for future billing. WHY DO I PAY A DESIGN DEPOSIT? WrapJax requires an initial up-front Design Deposit of $250 (plus sales tax) in order to begin the process of working with a designer to create your project. This deposit is simply collected and applied towards the cost of your project. WrapJax designers spend a great deal of time and effort creating a custom made layout for your project and this helps to protect us from losing money in the event that the project is not completed. 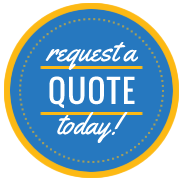 If your project is placed on hold for any reason, WrapJax will honor the pricing you were quoted for up to 12 months. Your deposit will be valid for up to 24 months from the time it was paid until it expires and a new deposit will be required if you wish to pick up your project again. If you have any questions about your Design Deposit, please ask your WrapJax representative.